TAIPEI, Taiwan - Chinese attempts at military coercion only strengthen Taiwan's resolve to defend itself, the president of the self-governing island republic said Tuesday. Tsai Ing-wen's comments followed what Taiwan's defence ministry called a major foray by Chinese military planes into airspace just south of the island on Monday, as well as by warships in the surrounding waters. 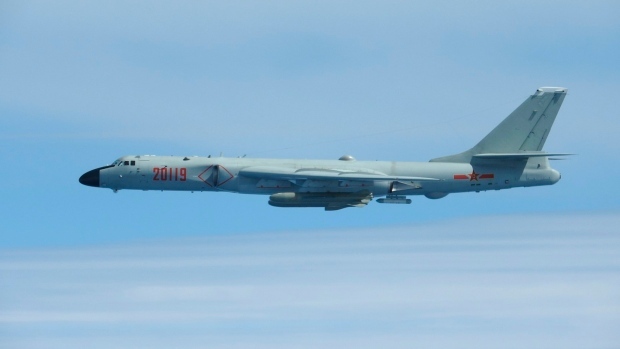 Taiwan said last week that its planes warned off Chinese military aircraft that crossed the centre line in the Taiwan Strait, and called China's move a provocation seeking to alter the status quo in the waterway dividing the island from mainland China.